If you are planning to start your online Business directory website then Our Script is the best choice for you.This script enable you to run your own profitable Phonebook business directory publisher website within few hours.We assure this script can change your business directory business. 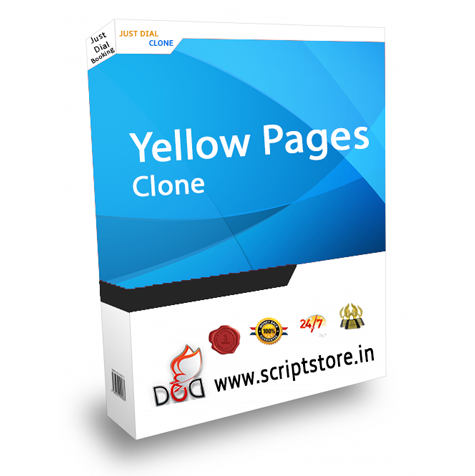 Yellow Pages Clone Script is the easiest, Fastest and secure Php Based Phonebook Business directory Websites. Download this Clone Php Script and start your own website. If u starting a online bussiness u have come to a right place and placed ur foot steps. We have complete directory script features to make it easy for you to run your own directory websites, from easy to use forms to integrated online payment. Is also powered by the feature rich administration panel, that will help you operate your website easily.